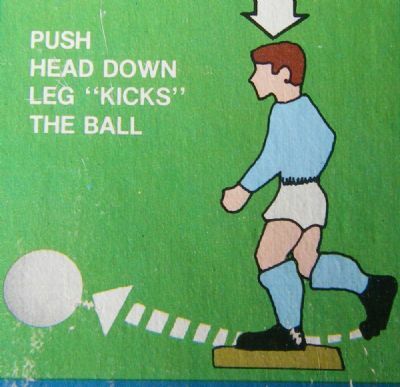 An American version of 'Striker' produced by Kenner in the 1970's. Similar push down head mechanics for the players but overall a much inferior game. 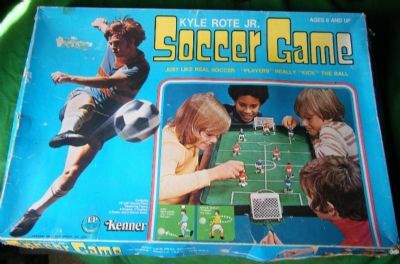 Kyle Rote Jr was a famous American soccer player at the time. 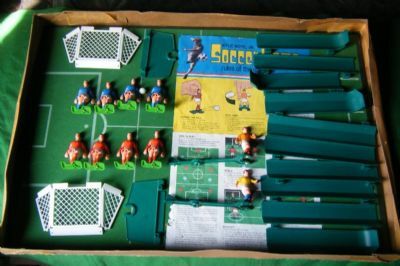 The box is similar in layout and content to the English Striker boxes of the same time. 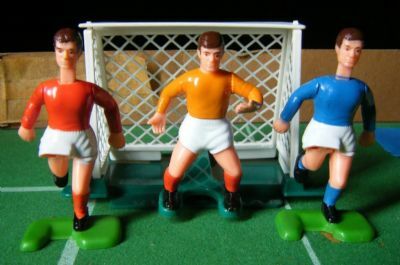 The figures are extremely awkward looking in a very uncomfortable pose. 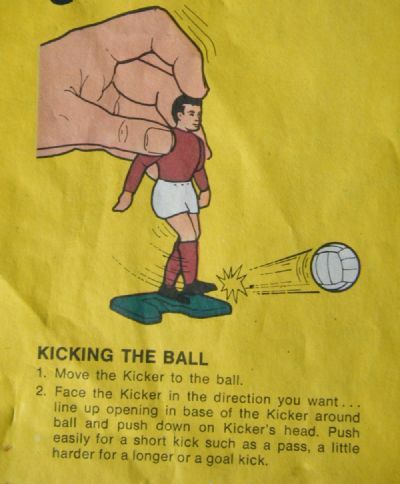 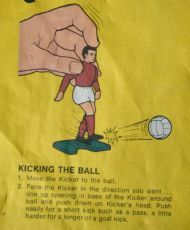 The keepers swivel and can throw the ball out.